Wikiendi Live is back 30th June! There is no wikiendi like a Wikiendi LIVE weekend! 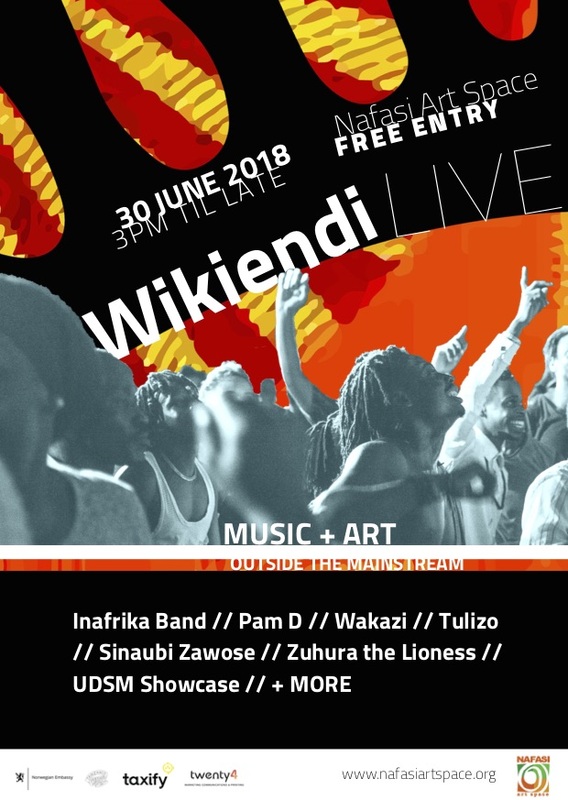 Wikiendi LIVE is back June 30th! Musicians and music-lovers alike will be gathered at Nafasi Art Space to celebrate sounds outside the East African mainstream. This month’s exceptionally curated line up will include performances that are fiercely original, featuring voices and influences from all around Tanzania. From 3 pm on @ Nafasi Art Space. Save the date. Tell your friends. Tell your followers. Tell your fundis. Karibuni saaaaana.